Select your design here. Fill in the name in the blank below. 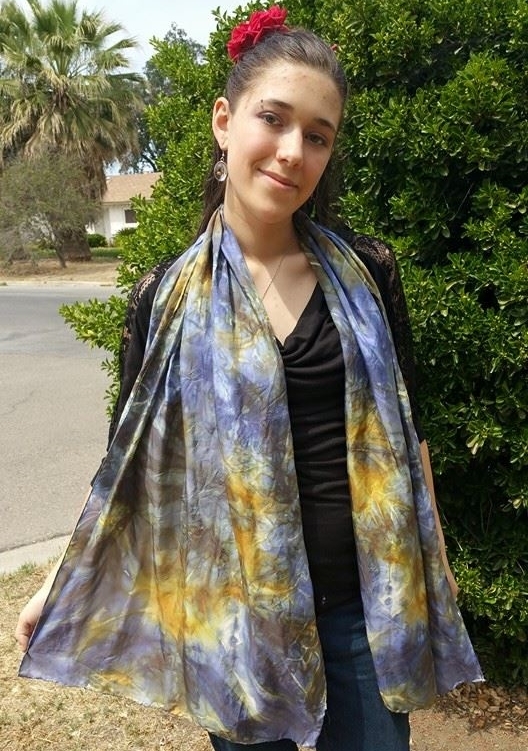 Silk scarves are a heavier silk than the flags or dance veils. Hand wash and lay flat in one layer to dry on a towel. Size info at the bottom of the page. 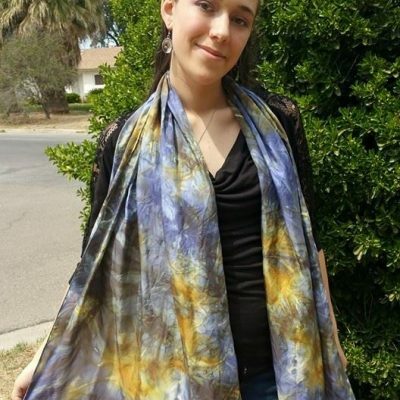 22×72 are shown above, they are a wide wrapping scarf that can be worn as a shawl or used as a prayer shawl. (We can even add tzit-tzit if you wish). 14×72 are still a nice wide scarf but not quite a shawl tho they have enough width to cover the hair from crown to shoulder. 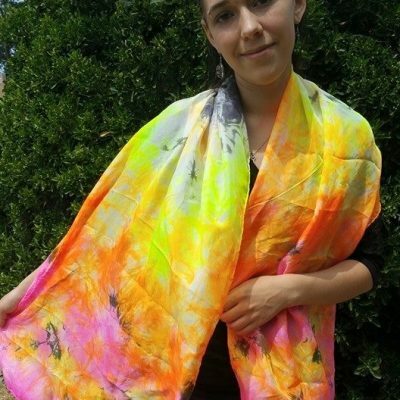 8×72 are a lovely splash of color but not too much extra fabric if you want to wear it on warmer days. Hankies are 11×11 and perfect to keep in the purse, make a great gift. They come with an anointing oil for prayer over and a gift bag. 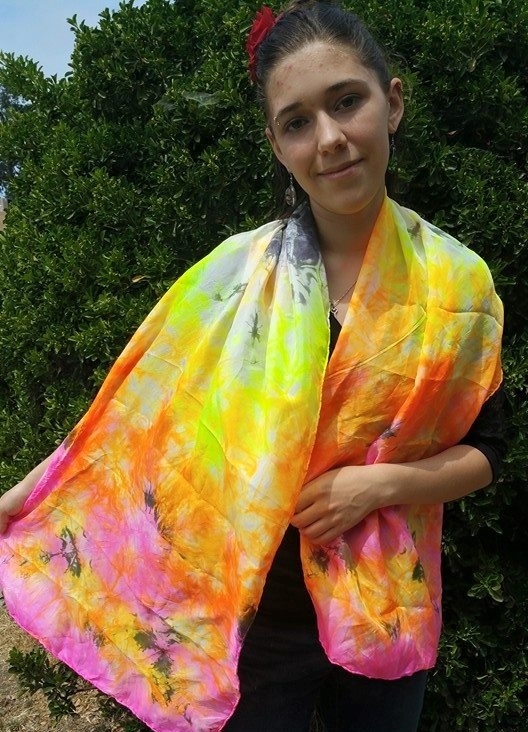 45×108 is a great big swath of luxurious silk to wear as a wrap, a bulky scarf or dance with like a fluttering veil. – I took one of these on a trip to Michigan and even tho I have lived in California for most of my life I wasn’t cold at all!